This week’s Ftag of the Week on the CMSCG Blog is F801 Qualified Dietary Staff, which is part of the Food and Nutrition Services Regulatory Group. This regulation has been in effect since Phase 1 (November 28, 2016) with some of the education requirements waived until 5 years from that date. The Requirements of Participation (RoPs) state that a nursing facility needs to employ sufficient staff with the appropriate competencies and skill sets to carry out food and nutrition services functions. 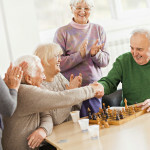 The care and services provided needs to take into account resident assessments and individual plans of care as well as the facility’s population based on the Facility Assessment. The regulation at F801 specifically states the requirement for having a qualified dietitian (or other clinically qualified nutrition professional) on staff on a full or part-time basis or as a consultant. The regulation further states that if this qualified staff member is not employed full-time, the facility must designate a person who will serve as the Director of Food and Nutrition. Licensed or certified as a dietitian or nutrition professional in the State where services are being performed. Dietitians hired or contracted with prior to November 28, 2016 have 5 years from that date to meet these requirements or as required by State law. Meet the requirements mentioned above within 5 years after November 28, 2016 or no later than 1 year after November 28, 2016 for staff members designated after November 28, 2016. On survey, F801 can be cited because surveyors identify concerns with the qualifications of the facility’s dietitian, clinical nutrition personnel or the food services director, including carrying out the food and nutrition services functions appropriately. This includes nutritional assessments of residents, developing and evaluating regular and therapeutic diets, participating in the QAPI Committee related to food and nutrition services, ensuring all facility staff receive person-centered food and nutrition services education and overseeing budgeting and procurement. Under the LTCSP, this Ftag has been cited multiple times across the country related to staff not being properly designated for the role and/or not having the appropriate education and credentials. If you have not already conducted an assessment of your Dietary Staff against the requirements of F801, the sooner you take a hard look the better as this is an “avoidable” deficiency. Also keep in mind that a compliance investigation related to this F-tag can lead to an investigation of compliance with other regulations such as F686 Pressure Injury, F692 Nutrition/Hydration Status or F693 Tube Feeding Management.